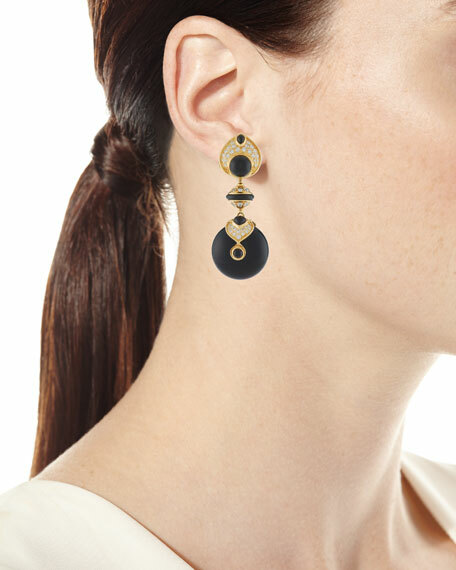 Marina B dangle earrings from the Pneu Collection. Semi-round clear pavé setting posts. 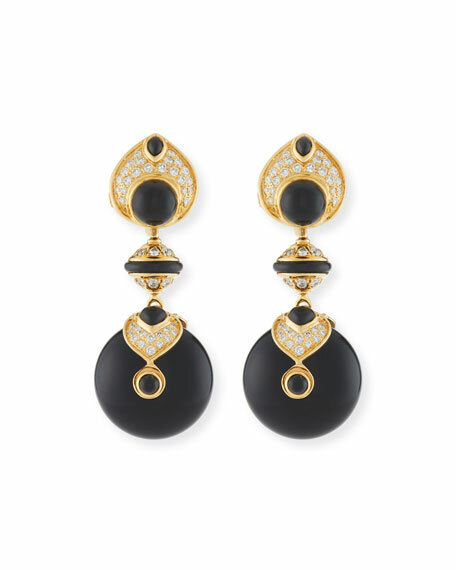 Mixed black jade accents and drop. 71.20 total quartz carat weight. 10.61 total jade carat weight. 1.88 total diamond carat weight. For in-store inquiries, use sku #2028176.